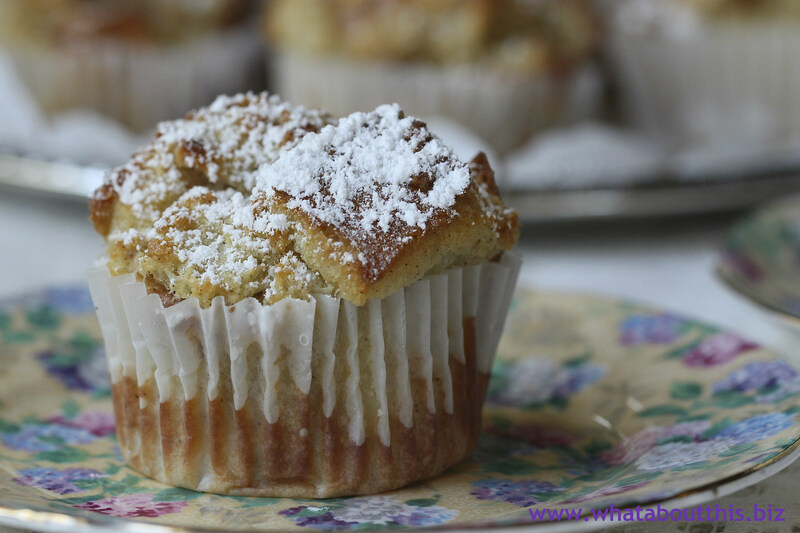 Bread Pudding Muffins | What about this? My husband has two sweet loves that drive him crazy. Both possess endearing qualities that he cannot resist. If ever they appeared together, he would be beside himself with indecision. Recognizing that his birthday highlights this conflict, I decided to alleviate his stress this year. I figured out a way he could have his cake and eat it too—a way he could enjoy one love in the morning and one love after dinner. For breakfast I made him custard-rich bread pudding muffins and in the evening he blew out birthday candles on a moist and spicy carrot cake. Problem solved. 1. Slice the bread and cut it into 1-inch cubes. Put it in a large bowl and toss it with the cinnamon. 2. Whisk the eggs, sugar, cream, milk, and vanilla together until well combined, then pour the custard over the bread. Cover and refrigerate for at least 4 hours and up to 24 hours. 4. Line a standard-size 12-cup muffin tin with paper liners, or generously grease with butter. 5. Scoop a heaping 1/2 cup of the pudding mixture into each of the 12 muffin cups; each one should be nicely mounded. Top off each pudding with the remaining custard. 6. Bake for 45 minutes, rotating the tin halfway through the baking time. The puddings should be lightly golden brown on top. Dust them with confectioners’ sugar while they’re still warm. 1. Because of the amount of soaking time involved, if you plan on serving these muffins in the morning, it is best to begin soaking the bread the evening before. 2. I was able to get 18 muffins out of the recipe. 3. Although these are categorized as muffins, these little bread puddings would make nice individual desserts.